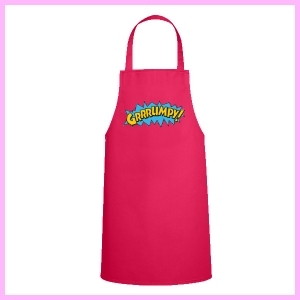 Hot Pink Cotton Mix Apron. Width 72cm x Length 86cm. Printed with the Grumpy Logo.